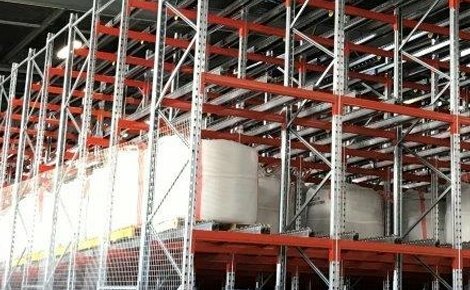 The use of sheet racking to store sheet materials will free up floor space and allow for greater organisation as well as easier product accessibility and identification. 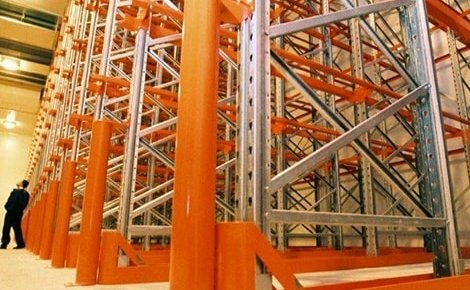 Sheet racking can also be used to increase organisation and improve warehouse processes. 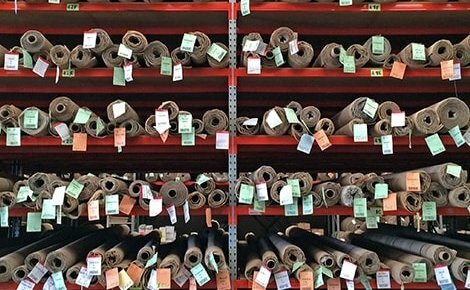 This is because a sheet racking system allows for products to be organised by type, material, size, and any other factor pertinent to your warehouse processes. 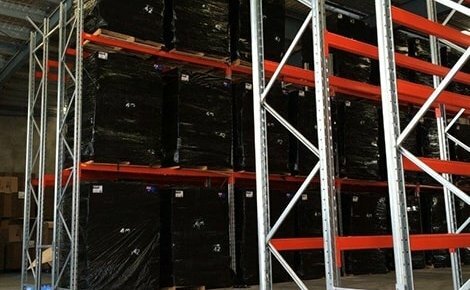 Additionally, storing products in a pallet racking system rather than on the floor will free up floor space and allow for easy navigation of manual handling equipment, reducing picking times. 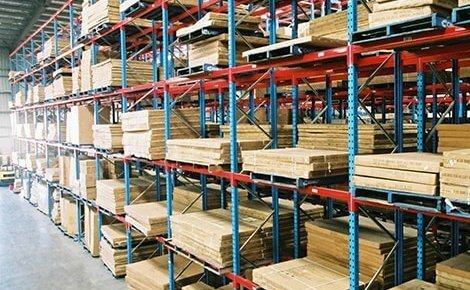 Sheet racking can also be used to reduce product damage. 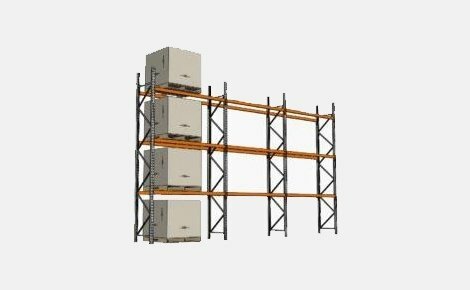 This is because the racking system provides an extra layer of protection between the product and the manual handling equipment. 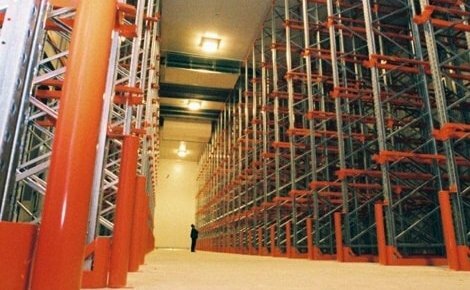 The sheet racking system also allows for products to be loaded and unloaded safely to minimise damage. 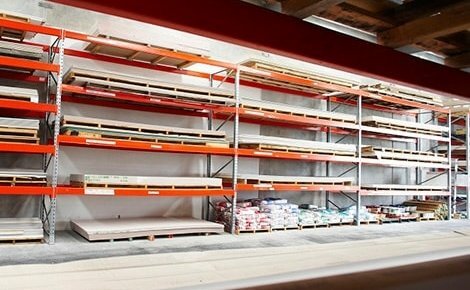 Additionally, sheet materials can become warped or damaged when stored incorrectly, however, the risk of this is significantly reduced when products are stored on the sturdy shelves of a MACRACK sheet racking system. 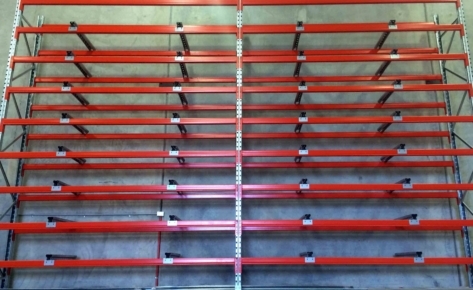 Sheet racking can be used to increase the storage capacity of a warehouse. 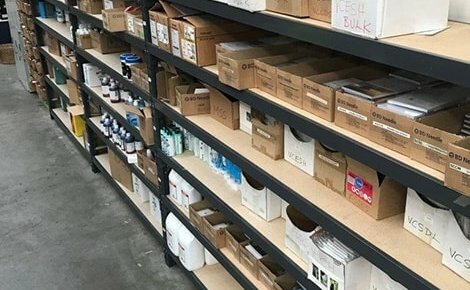 This is because a sheet racking system can be built as high as needed to fit as much product as possible in the space that would otherwise only hold one pack of sheet material when stacking products on the floor. 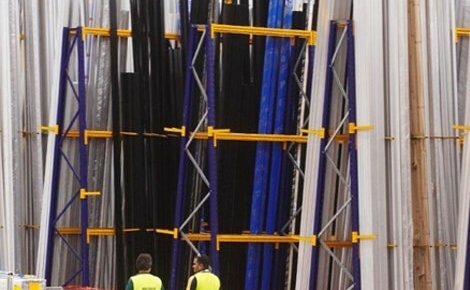 Not only will the use of sheet racking provide protection for your products, it can also increase safety for your workers. 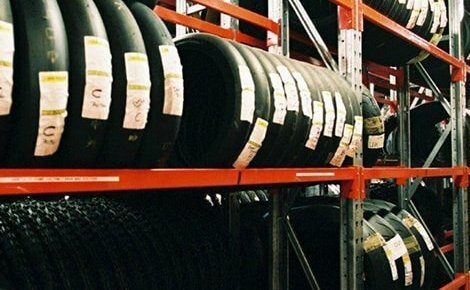 This is due to the fact that handling becomes easier when products are individually accessible and stored securely rather than in stacks on the floor. 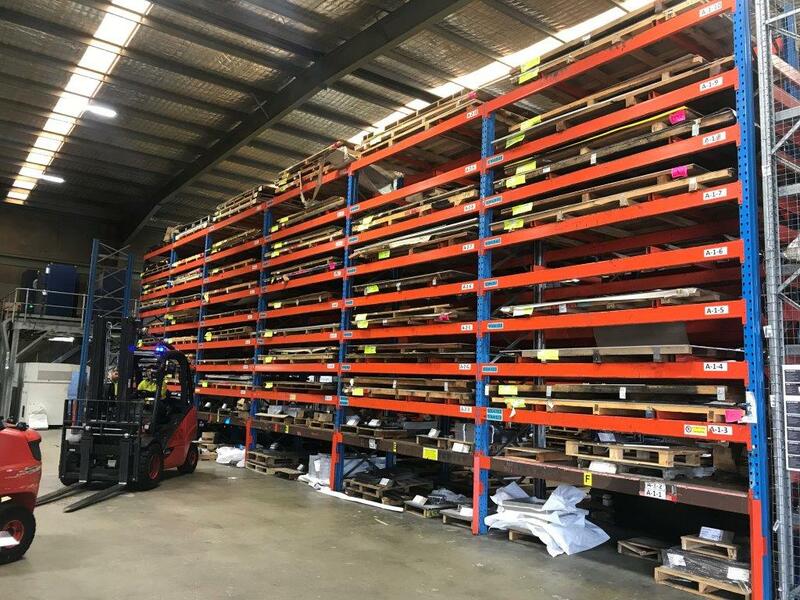 An example of a sheet racking solution we have provided for one of our customers is the customised sheet metal storage solution we created for Apex Steel. 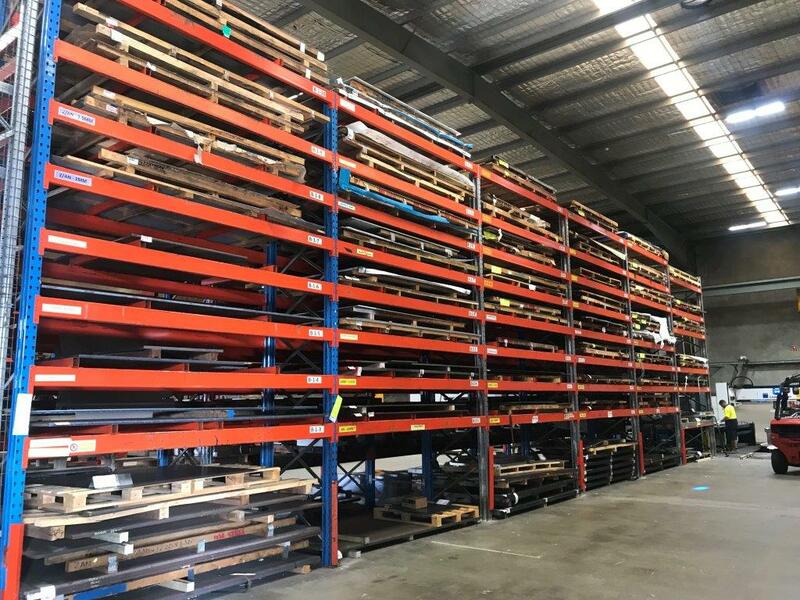 Apex Steel predominantly uses coil racking, provided by MACRACK, to store their steel as it is a great way to maximise storage capacity, particularly in a small area. 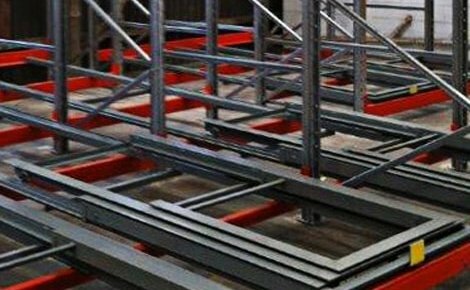 However, Apex Steel also required a storage solution for sheet steel and plate. 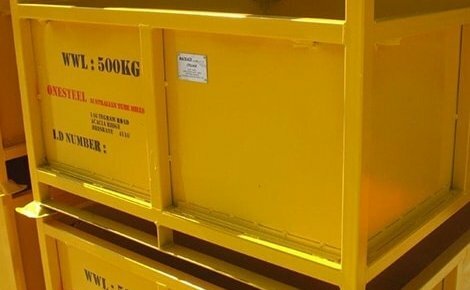 We came up with the perfect solution to store their steel sheets while maximising storage capacity and ensuring that handling and accessibility is as high as possible. 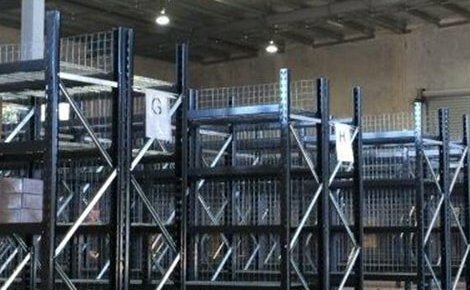 We designed and manufactured a selective pallet racking system with longer beams and deeper frames to accommodate the extended width and length of their product. 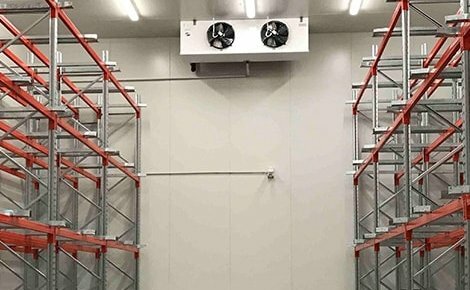 The use of a customised selective pallet racking system ensured that the product was still able to be loaded and unloaded with a forklift, while minimising the floor space used for product storage. 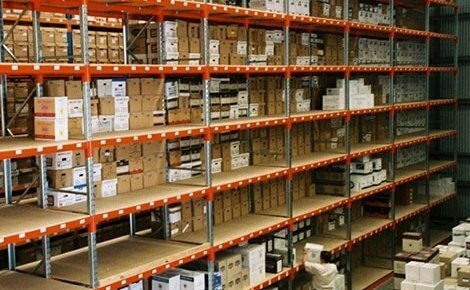 If you’re looking for a customised sheet racking system to maximise storage and improve warehouse processes MACRACK has the solution. 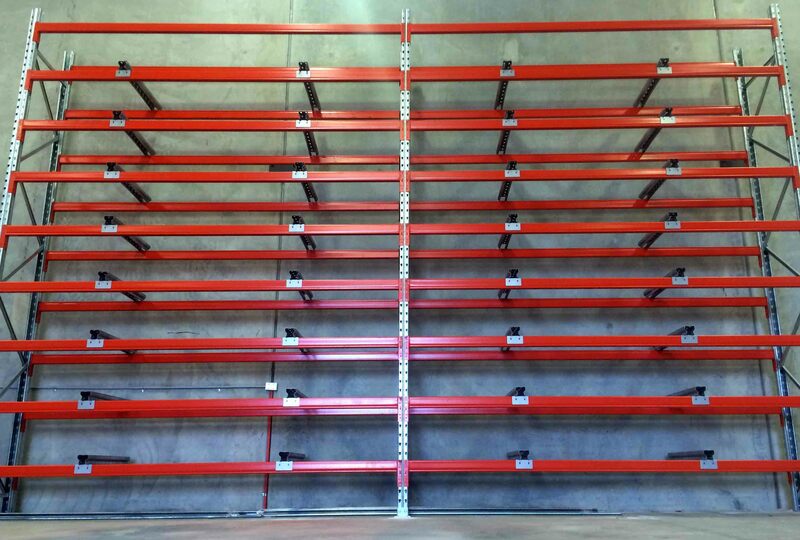 We can design sheet racking to suit your products with frame depths available from 600mm to 1500mm. 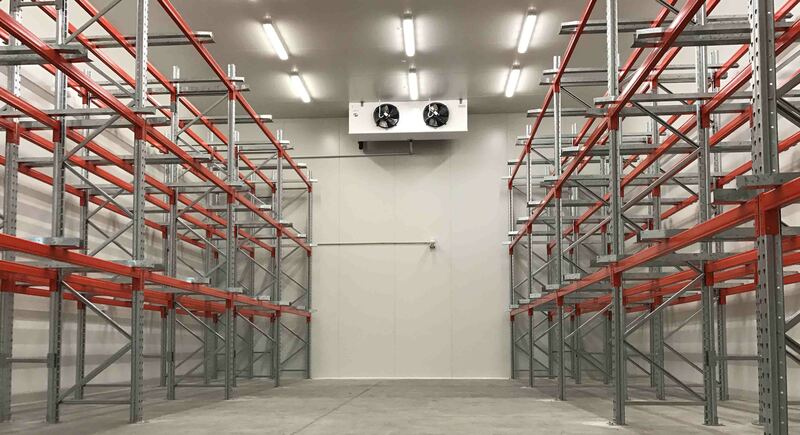 Plus, if you need a deeper system we can design a 2 frame deep system to suit your requirements. 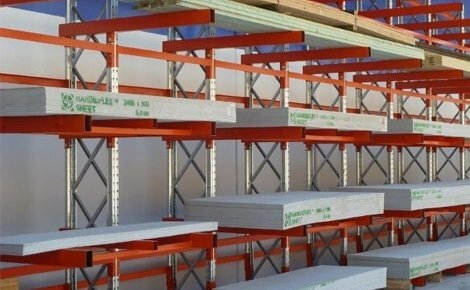 Each sheet racking storage system we build comes with a lifetime guarantee, so you can rest assured that our sheet racking is built to last. 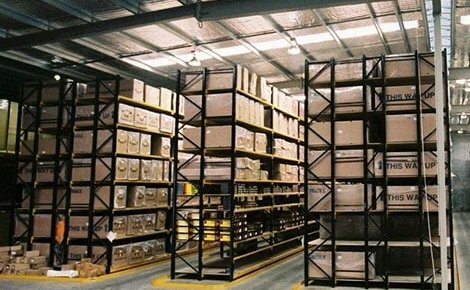 Call MACRACK today on 1800 048 821 and ask about our free warehouse design offer. 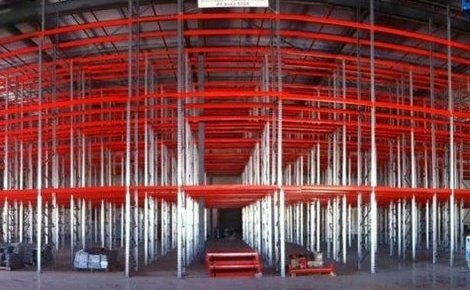 Not sure if sheet racking is right for your warehouse? 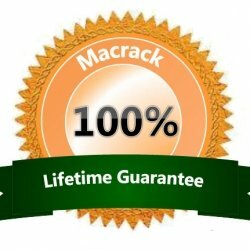 Call MACRACK today on 1800 048 821 to take advantage of our expert advice and free warehouse design service. 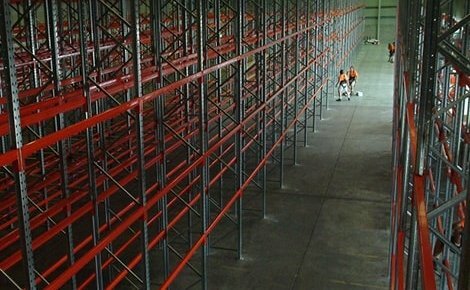 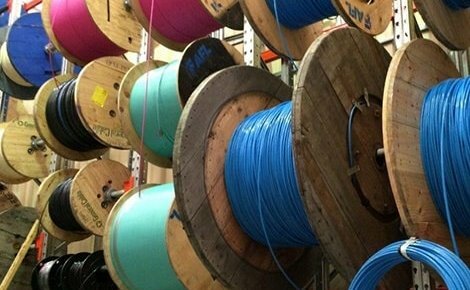 We can come out to your site and measure your warehouse at no cost to you and create a free plan layout. 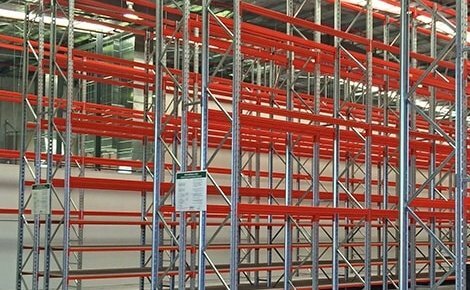 Our racking specialists will advise you of the best system to maximise storage in your space and the layout plan will enable you to visualise how the space will work and where the racking will be.